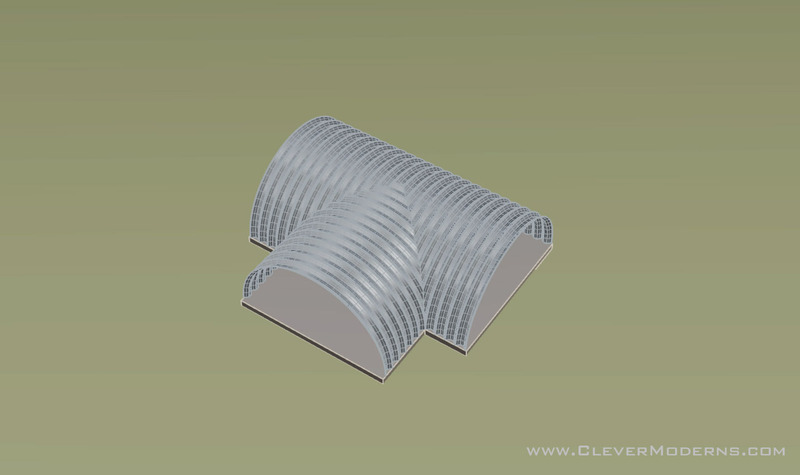 Quonset Hut Build: Can you build a T-shaped Hut? This question comes up from time to time in our Facebook Group so I decided it would make a good topic for a YouTube video. The short version: I wouldn’t rule it out as completely impossible, but let’s just say the idea of a T-shaped Quonset hut presents some nontrivial challenges. I think the challenges presented by this kind of thought experiment, along with the ensuing discussion, also help illuminate the real strengths of a standard shape Quonset and why they’re such efficient structures. So I hope you will give it a watch even if you aren’t planning or dreaming of a T-shaped Quonset hut in particular.